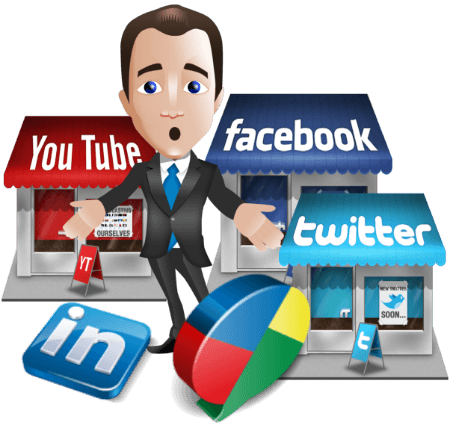 Everyone in the online world is talking about how social media optimization can help in effective marketing of a business. However, not many of them know how to reap optimum benefits of social media. The intent of today’s post is to help you understand what social media optimization is and what is the link between it and search engine optimization. Let us get started with the basics. As we know that SEO stands for Search Engine Optimization and it is a process which is undertaken to make sure that a given website appears in the search engine results pages when users make search using words or phrases relevant to the content on the website. SMO stands for Social Media Optimization and it can be defined as the process of making use of different social media channels and communities to enhance the awareness of your website, products/ services offered, brand or event by generating publicity. Various different kinds of social media platforms used in the process are social networking sites like Facebook, Twitter, Google+, bookmarking sites, blogging sites, RSS feeds and social news sites. 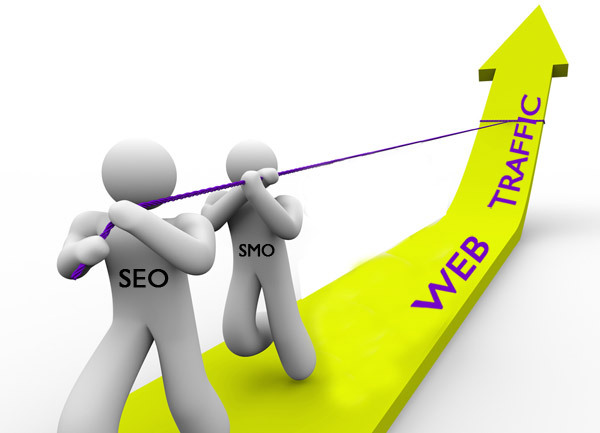 The basic connection between Social Media Optimization and Search Engine Optimization is that the underlying aim of both these processes is same; the ultimate goal of both SEO and SMO is same and which is to bring increased traffic and create greater awareness for a website in the online world. In other words, the social media optimization is all about optimizing a site along with its content in terms of sharing across social media and networking platforms. It is true that the association between Search Engine Optimization and Social Media optimization is turning out to be quite significant factor in deciding the overall optimization strategy for a website. Especially after the recent updates, leading search engine Google has indicated that it is going to take into account the recommendations of users of social networks sites while deciding rankings of the websites in its search engine result pages. In nutshell, it can be said that SMO has become an essential part of search engine reputation management (SERM) strategy for businesses or individuals who care about their online presence. There are many companies based in Toronto offering their clients SEO, SMO and web development Toronto services. It is important that you choose only the best source. If you are looking for a trusted partner to get your SEO and SMO strategies right, then you can let Kinex Media (leading company for SEO & Web Development Toronto) services plan a proper marketing campaign for you. They will provide you with perfect marketing campaign which will be a balanced mix of SEO and SEM techniques, so that you can truly utilize these wonderful techniques for the betterment of your business.